France national team manager Didier Deschamps has claimed that Arsenal forward Olivier Giroud faces the risk of missing out on the national team place ahead of the World Cup 2018. The 30-year-old received a number of offers to leave the gunners at the start of the season. It became apparent that Giroud would not be the regular first-team player at the club after they brought in Alexandre Lacazette from Lyon for around £ 46 million. However, the Frenchman decided to stay at the club in order to fight for his position and it has so far been the wrong decision. 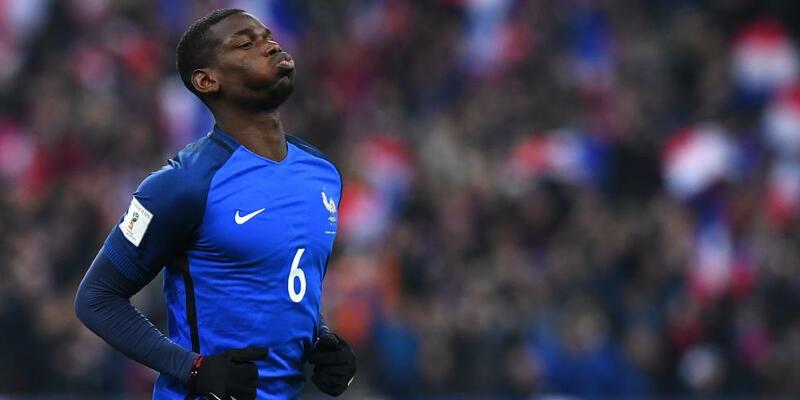 Manchester United coach Jose Mourinho has revealed that French star Paul Pogba is not completely happy with the role he features in in the national team. The playmaker played a major role in the success of Juventus where he played at for four years, and has been a growing influence at United. With the role he plays in the French side, it makes it more difficult for him to net goals. Pogba scored last in the 2-1 victory over Sweden last November. His manager at club level is pushing for Pogba to be allowed to contribute more in attack so he can get more goals and assists. The expected fixture between Real Madrid and Barcelona legends slated for September 15 in Mumbai has been postponed due to the unavailability of key players, the organizers announced. There are further doubts that the game will ever hold as team are entering the hot zone of their leagues and various competitions. Nicolas Anelka has not made any competitive appearance for any club since 2015 which is the year when the Frenchman left Mumbai City. The veteran player was actually serving a player-manager role in the Indian club but made his way out after only 1 season. A former Liverpool boss Rick Parry has complained of how difficult it is now for top clubs to get the business done without making noise. The Chief Executive hinted that transfer market enthusiasts want information that makes it difficult for transfers to be done quietly. WILL MBAPPE FOLLOW ANELKA TO ARSENAL? Premier League side Arsenal are resilient in their chase for French teenage sensation Kylian Mbappe. Embattled French manager Arsene Wenger is confident of landing the player this summer. It would be the biggest transfer coup in the club’s history if the deal happens. Monaco seems focused on keeping the talented youngster, preferring he contributes to the team than selling him for a world record fee. Real Madrid and Paris St Germain are other sides that are keen on breaking the world record for the youngster. They are historically higher spenders but the Gunners want this one badly. Read more about WILL MBAPPE FOLLOW ANELKA TO ARSENAL? There have been so much noise about Monaco teenager KylianMbappe, especially after his recent showdowns with top sides in the Champions League. There have been questions if the young striker would go on to be a prolific goalscorer like Arsenal legend Thierry Henry. Nicholas Anelka’s past has come hunting in his latest endeavours. The former Arsenal, Manchester City, Liverpool and Chelsea striker was appointed as an adviser by Eredivisie outfit Roda JC Kerkrade after a Swiss-Russian takeover was completed. The new owner Alexei Korotaev wants the Premier League legend to help as the new management seeks to stabilize things but Anelka’s past might be a stumbling block. Manchester United midfielder Paul Pogba has branded Nicolas Anelka as one of the players who had a major influence on his career. It comes as a surprising statement considering that Anelka is regarded as one of the journeyman in football. On September 27 of 2016, Sam Allardyce was removed from his managerial position from the England national football team after only having been in charge of the national side for around 70 days and the main reason of why Allardyce spent such a short period of time was due to the 2016 English football scandal which was a string of events that involved many figures from English football clubs being fired due to allegations of corruption and things of this nature. There were investigations being done in relation to a few managers of English clubs including Southampton, Queens Park Rangers and Barnsley. Many of the head chiefs of these clubs had been involved in some way or another with bribery, avoiding tax and even becoming ambassador for fictitious sports company as a way to earn money in exchange for players.